The transition between two books is always a disconcerting experience, particularly if you pick up a new one the instant you’ve read the final line of the last. Not only are you torn from one fictional world to another, but into an often contrasting narrative voice and style. 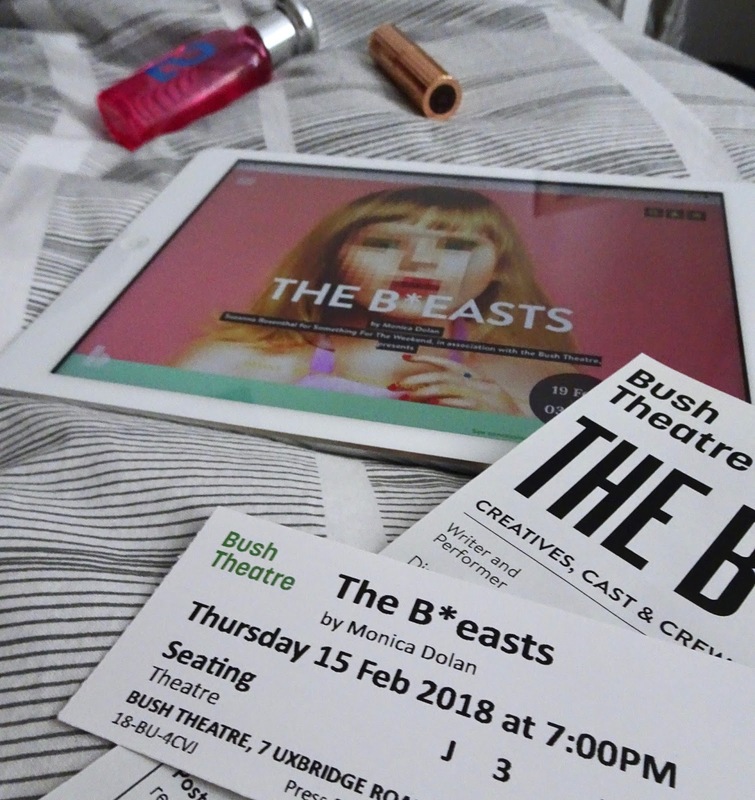 Written and performed by BAFTA-winning Monica Dolan, The B*easts is a one-woman show exploring the sexualisation of the female body, particularly among young girls. The play, which won a Stage Edinburgh Award for its stint at Edinburgh Festival Fringe, is running at Bush Theatre until 3rd March. Although I wrote my annual favourites post, I didn’t take the time at the beginning of the year to look forward. I spend so much time dwelling on the past, or worrying about the future, that I forced myself to breathe only in the present over the Christmas break. Second to drowning myself in memories and nostalgia, I love to plan. And there’s no better time than the beginning of the year to plan the coming months. Yes, I’m aware it’s already February. So if, like me, you’re a little behind on the whole New Year’s plans, here are five things to see at the theatre in 2018. These are both recommendations of things I’ve already seen, and a couple I can’t wait to experience.